With over two decades’ experience in local business (the past 15 as Principal of Raine & Horne Real Estate Ashfield), almost 30 years membership of Wests Ashfield and a lifelong passion for rugby league, Tony Andreacchio is a true local. 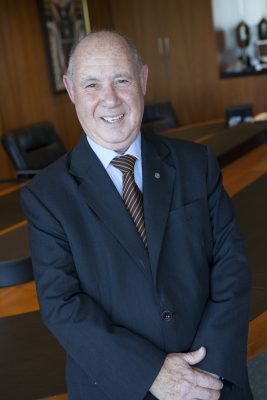 For more than a decade, Tony has been an executive of the Ashfield Chamber of Commerce; a member of Haberfield Rotary Club; Area Chairman of the Ashfield Salvation Army Red Shield Appeal and in recent times, was appointed to the Vincentian Fathers Advisory Board Oceania. His many and varied social and community interests include financial support of the Reverend Bill Crews’ Exodus Foundation, Father Chris Riley’s Youth Off the Streets, APIA Leichhardt Tigers Soccer Club and the Inner West Eisteddfod. Tony is a long-time member of the Pratten Park Magpies and was appointed to the Board of Western Suburbs District Rugby League Football Club in 2014. Tony is committed to the integration of the Wests family while maintaining the Magpie heritage and identity. He has been a Board member of the NRL Wests Tigers since 2012 and presently serves on the Board of the Western Suburbs District Cricket Club. Raised in Summer Hill, Tony has lived in the Inner West his whole life and has passionately followed rugby league, supporting the Western Suburbs Magpies since their days at Pratten Park and now the Wests Tigers. With his hands-on local business knowledge and active membership of more than a dozen social and sporting clubs and organisations, Tony brings to Wests Ashfield, real-world financial acumen, competitive insight and enthusiasm.